My parents always had music playing, either from the radio or the record player. Dad had a stereo cabinet stacked with the mandatory hardware for rock n’ roll: receiver, turntable, cassette player and a fancy equalizer. His record collection was “hands off” until I came of age and my respect and knowledge of his audio equipment was at a level where I could receive an honorary degree in broadcasting. 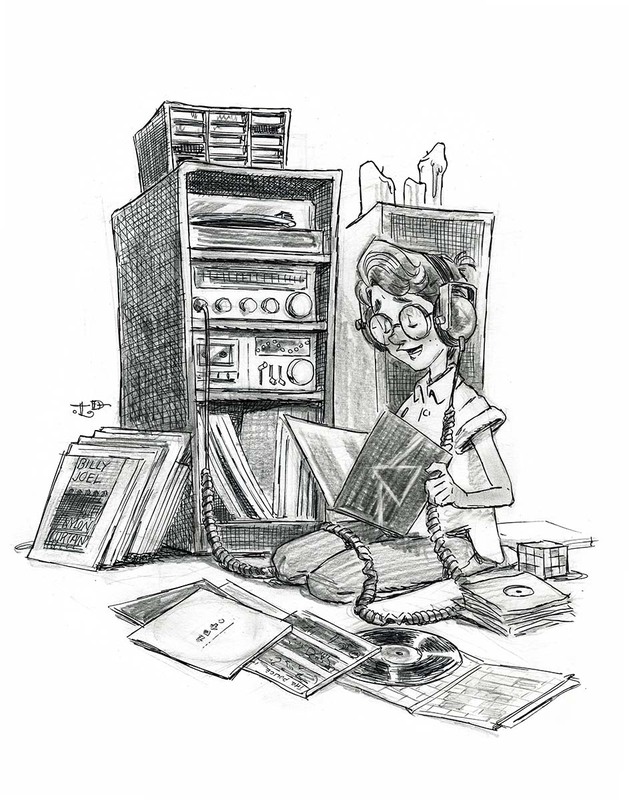 There was a ritual to playing a record—from cleaning the vinyl to adjusting knobs and dials in hopes of achieving the perfect sound. I’d listen to an album in running order and in its entirety. The best LPs took you through an auditory journey of emotions and ideas. Lyrics and artwork printed in the 12” sleeves added to the experience and your imagination filled in the rest. Listening to dad’s records galvanized my love of classic rock and I was excited any time he added a new album to his collection. Once I was employed I’d go to Moondog Music, Spec’s or Peaches and spend an entire paycheck on vinyl. Considering the average price of an LP record was $7.50 it wasn’t long before I had a music collection of my own. My first record that I purchased was Elton John’s Too Low For Zero.